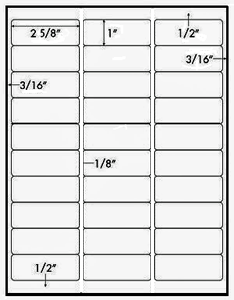 Label Size: 1" x 2-5/8" - 1" x 2.625"
AVERY labels are manufactured by Avery®. Avery is a registered trademark of that company. Label Outfitters® does not make Avery products. The most common Laser and Inkjet Label. The "Standard" Address Label. 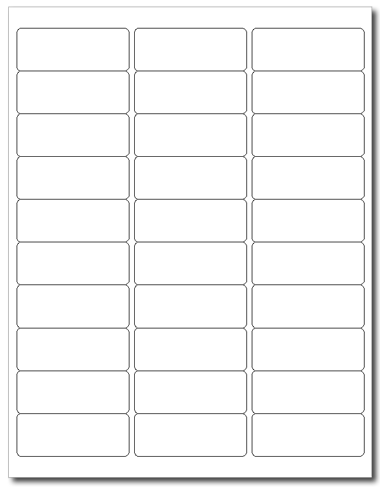 Use the Avery® 5160 Template to print 30 Labels per Sheet. Made in the USA! Quill 901-710786 Format. Avery® 5260.